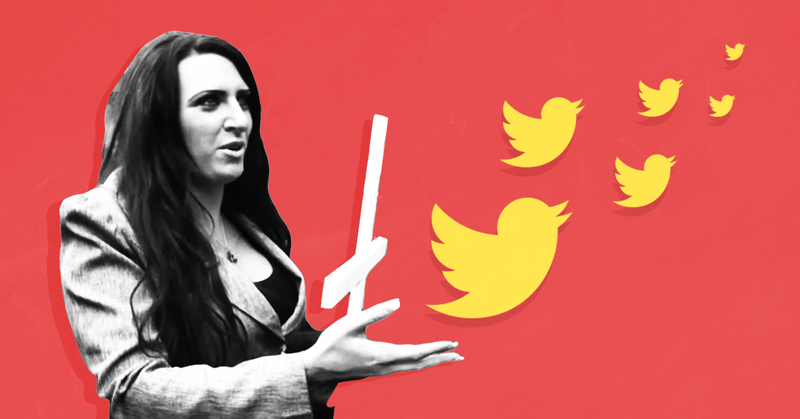 On Wednesday morning, President Donald Trump retweeted three anti-Muslim videos posted by Jayda Fransen, the deputy leader of the far-right, ultranationalist Britain First political organization, who has previously been “found guilty of religiously aggravated harassment.” Trump’s retweets of three videos attempting to link Muslims to violent crime, one of which has been debunked and the other two of which lacked context, were praised by white nationalists and far-right ideologues on Twitter and by internet trolls on 4chan, 8chan, and Reddit message boards. At least one prominent fake news website also defended Trump’s retweets. Trump retweets video of crippled white kid in Europe being beaten by migrants, and white people being thrown off a roof and then beaten to death, He's condemned for showing us what the fake news media WON'T. Thank God for Trump! That's why we love him! Trump retweeted @JaydaBF of the party Britain First !!! 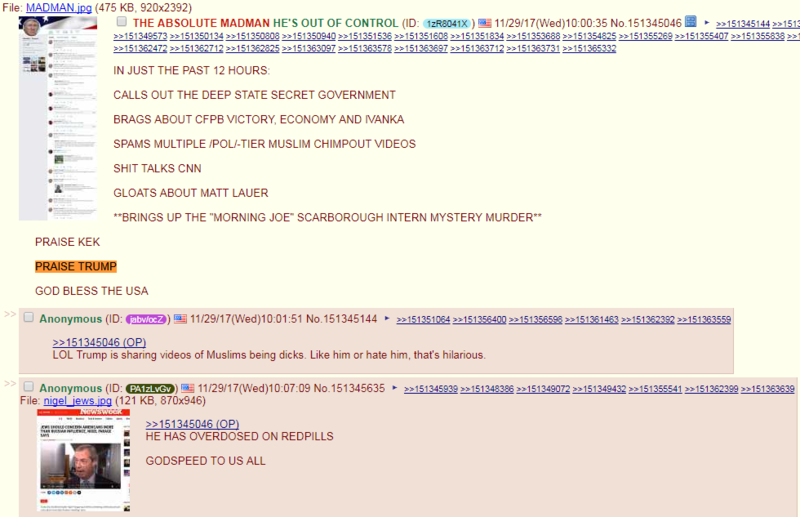 Another 4chan/pol/ user wrote, “PRAISE TRUMP,” calling the videos Trump shared “/POL/-TIER MUSLIM CHIMPOUT VIDEOS” -- an indication that the videos were extreme enough to have been promoted by 4chan users. And on the pro-Trump subreddit “/r/The_Donald,” one user shared the videos Trump retweeted and directed other users to an online tool that can be used to download the videos, likely to share them through different mediums.